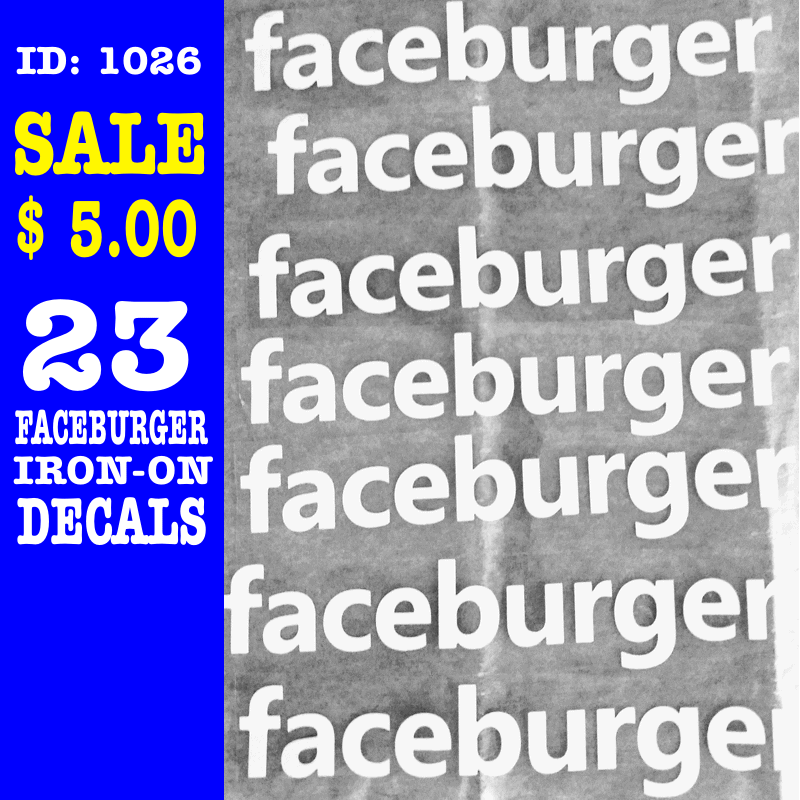 Clearance Facebook Iron-on transfers pack. 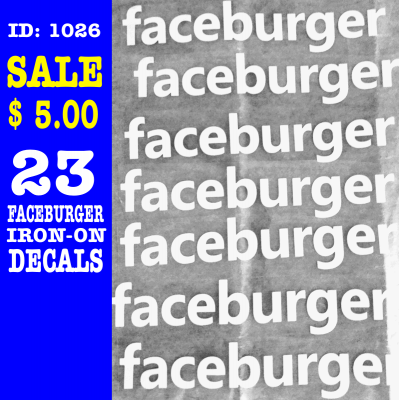 14 in color white and 9 in color blue, 23 FaceBurger iron-ons total. 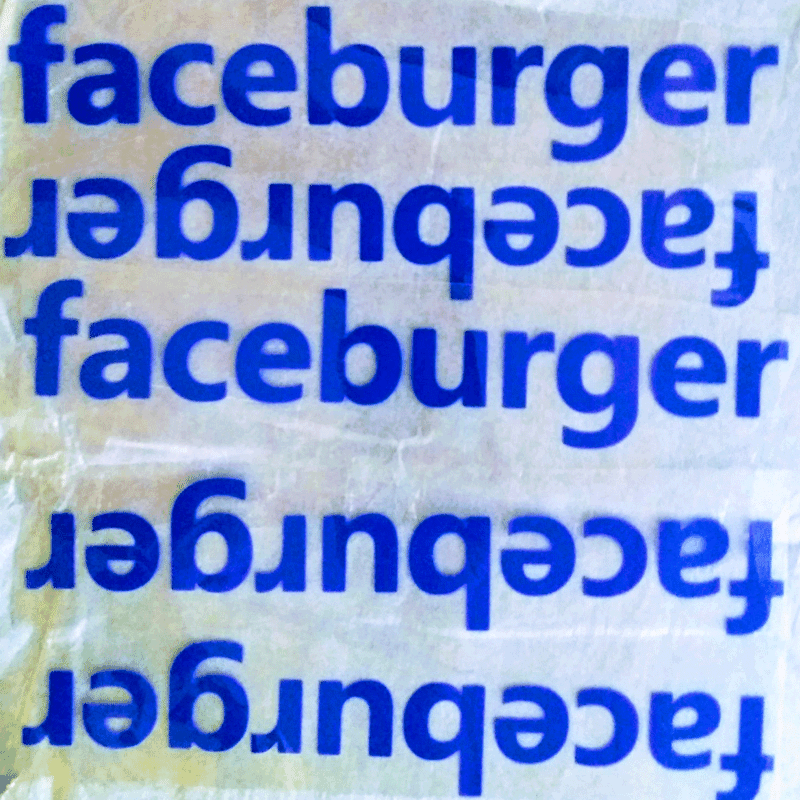 Size about 9.5" x 1.75" perfect for Face t-shirts. 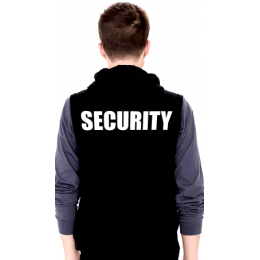 They print on all fabric colors (black t-shirts for example), Work well on cotton, polyesters and blend fabrics. Quick and easy to apply YOURSELF with a home iron or heat press machine. No sewing required and Washable. Next day Ship out.